^ "On The Screen". Wisconsin Jewish Chronicle. October 27, 1967. (Subscription required (help)). ^ Strauss, Theodore (December 17, 1939). "Paul Muni, Less The 'Mr.,' Returns; Paul Muni, Less The 'Mr.,' Returns To Town". The New York Times. Retrieved April 1, 2010. (Subscription required (help)). ^ a b Corliss, Richard (1975). Talking Pictures. David & Charles. p. 54. (Subscription required (help)). 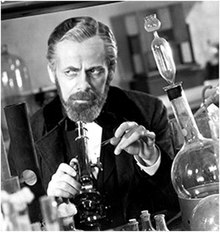 ^ a b c d e "Paul Muni, Actor, Dies on Coast; Won Fame in Biographical Roles; Portrayed Darrow, Pasteur, Zola, Juarez and Gangster in Stage and Film Career". The New York Times. August 26, 1967. (Subscription required (help)). Grimshaw, Myrtle Lecky (1945). 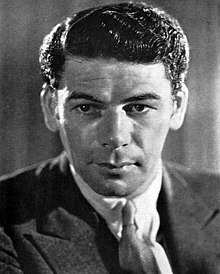 "Paul Muni, Master Character Actor". In Lotz, Philip Henry. Distinguished American Jews. Creative Personalities Series. 6. New York: Association Press. OCLC 2055635.